Gayle Forman is an author with a distinct voice in YA contemporary. 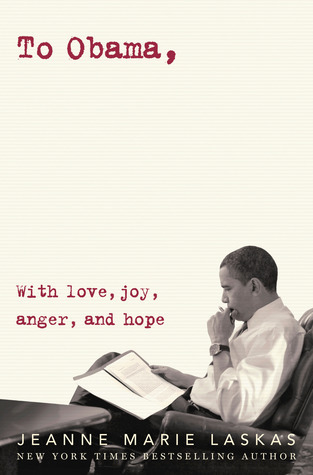 She knows how to tackle tough issues, delivering the story in a flawless, un-put-downable way. Suicide is not an easy plot to follow. There were moments while reading this particular story that left me uneasy, not wanting to know the gory details about how one can take their own life, yet leaving me to ponder how one can get to that state in their mind. 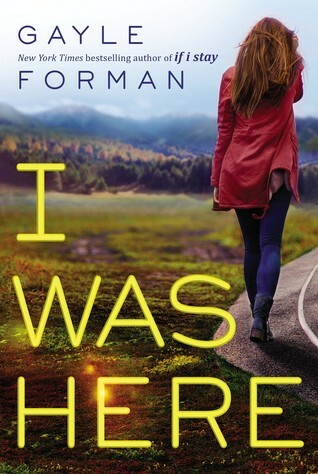 I Was Here takes a deeper look at grief and how a best friend manages to put the pieces back together after her other half takes her own life. Cody has lived in this small Pacific northwest town her whole life, along side her best friend Meg, who's family has become her second home. As the two girls face young adulthood after high school, Cody must stay behind due to financial strains, while Meg ventures off to something bigger and brighter a few hours drive away. What Cody doesn't realize is that Meg has been spiraling down a dark hole of depression for quite some time, so when the news that Meg has taken her own life reaches Cody, it causes a shock to her core. Little by little Cody unearths clues leading to Meg's suicide. She refuses to accept her death until some answers are resolved. But how does one go about seeking answers from the dead? Cody finds herself digging up Meg's last few months before she took her last breath. The idea that her best friend had been planning her own death without Cody ever knowing almost becomes too unbearable. In the process Cody forms new relationships with people Meg once knew, and little by little the pieces begin to form a picture that no one wants to truly see. I found myself flipping the pages, constantly on the edge of my seat, wanting to know what led Meg to take her own life -- yet frightened and anxious for Cody to unveil the truth. Gayle Forman's effortless writing shines through in this unforgettable story. It's hard to swallow in parts, yet so demanding in others. I literally could not break my eyes from the page until I reached that final conclusion. Grief is expressed in many different ways, and this story gives an honest portrayal of those various shades. Lovely review, Ginger! This looks to be Gayle Formans' toughest novel so far, in terms of subject matter. I can't wait to dive into my ARC, which I'll be starting shortly. After I finish it, I going to pick up a light book. One of my last books of 2014 was All The Bright Places, which was pretty gruelling, so I think I need a break and some fluff and fun. And I totally forgot to click 'notify me'. Whoops! I'm excited to read this one, am so glad you liked it! I love Gayle Forman's writing, but I'm so sad to say I didn't enjoy this one. :/ I thought the direction it took was very bleak and uncomfortable. I guess that's the point, but it didn't make for an enjoyable experience for me. And the romance I expected to be stronger. Glad you loved this one, though! Her writing is so raw and honest, definitely. This sounds like a great story. I'm glad you liked it. I'm going to read it but Forman is kinda hit or miss for me so I'm looking forward to this one because I've heard a lot of good things. Last year was my first exposure to Gayle Forman, and I'm looking forward to reading this. I've only read If I Stay and Where She Went, but I know there are other titles I still have yet to get to in her repertoire. The premise for this one sounds sad, but moving. Thank you for sharing! What draws me most to I Was Here, apart from the fact that it's by Gayle Forman, is that it's a depiction of another facet of grief. Everyone experiences it differently, and I'm curious to see how Cody handles it in the face of her best friend's death. I'm glad you found this one good!